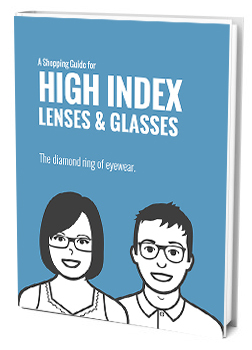 You Are Here: Home » High Index Lenses » How Can I Tell if my High Index Lenses have Anti Glare? How Can I Tell if my High Index Lenses have Anti Glare? For all the benefits offered by high index lenses – the potential reduction in weight, the reduction in lens thickness, significantly so in the case of strong prescriptions – they do have some trade-offs. Do My High Index Lenses have Anti Glare? A high chromic aberration is one, resulting, for some, in a slight rainbow-like effect towards the ends of the curves of the lenses. A higher cost than standard plastic or glass is certainly another. As is a lens surface that is highly reflective. A relatively high reflective rate is characteristic of the high index material. All lenses bend light, causing it to strike the lenses of our eyes at different angles to adjust for our particular visual deficiencies. That’s how prescriptions work. 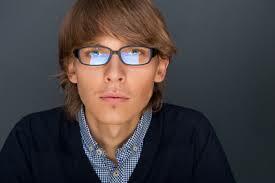 They determine the curve of the lens that best suits the visual needs of the wearer. High index lenses bend light a bit differently than standard-material lenses, a trait which accounts for their ability to form a prescription using less physical material – hence a lighter and thinner lens. This particular bending of light, however, results in a higher percentage of light that will bounce off the surface of the lens rather than pass through it. This manifests itself on the outer lenses as a mirror-like finish which directs light back into the eyes of people as they look at you; they see your glasses as a mass of reflected light rather than twin orbs of glass or plastic that are clear and transparent. When the reflection rate of your lenses is high people cannot see your eyes behind your glasses. For the wearer, whose eyes are only millimeters away from the inside surfaces of the lenses, the glare caused by reflecting light can be problematic. As you move your head in various directions and angles, you pick up light sources that bounce off the surfaces of your glasses and into your eyes. This experience is usually described as “distracting.” The larger your lenses, they more pronounced the effect. Often a reflected light ray hits the outer periphery of your lens and is gone before your eye can move to and focus on it; this creates the illusion of movement and makes it appear that someone or something has entered your peripheral vision range or is coming up behind you. In addition to causing distraction, this process, when repeated over and over again all day long, overworks the eye muscles and can lead to eye strain. Because of the innately high reflective capacity of a high index lens, an anti-reflective (AR, also known as anti-glare) coating is strongly recommended to anyone considering a purchase. Some high index lens manufacturers consider an AR coating so critical to proper vision that they do not offer it as an option; it comes standard on all high index lenses. Position yourself in a well-lit room. Place your glasses on a table or shelf and step back about two or three feet (alternately, you can ask someone to stand two or three feet away from you and observe your lenses). Look at your lenses, moving your head slightly from side to side and up and down to catch the light at different angles. If you can clearly see through the lenses to whatever is behind them, picking up only minor and sporadic reflections at different angles, your high index lenses are most likely already treated with an AR coating. If you cannot clearly see through your lenses because light flashes and reflections give them a mirror-like finish, the lenses are not AR coated.